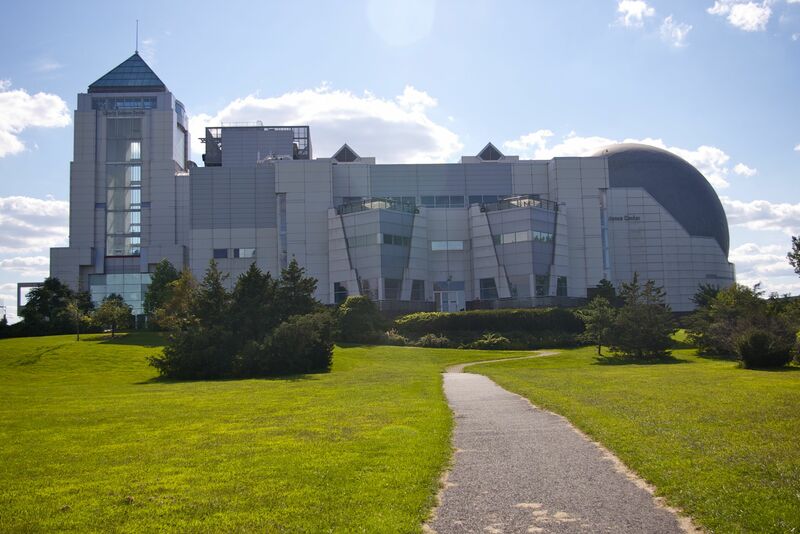 If you grew up anywhere near northern New Jersey, odds are that as a child, you were shuttled to the Liberty Science Center either by your school or your hip aunt who was looking to show you a good time. If you were a Girl or Boy Scout, you may have even had a “camp-in” and slept over next to the gigantic Hoberman Sphere that hangs over the main entrance. You probably lost yourself: either literally in that pitch-black maze that simulates the blind experience or figuratively in their massive IMAX dome, maybe while watching some cool, immersive wildlife footage. Well, the Liberty Science Center is still going strong. And if you have kids of your own, this would be the place to bring them and get them as interested in science as you are, nerd. They’ve still got that tunnel and that dome, which is a perfect place to drop them off while you wander to the café for a snack. But beyond the classics, they’re also innovating and bringing in new exhibits all the time. Some of these are what you might expect from a science experience for kids. There’s a big, suspended playground that dangles two stories above the main atrium — exactly the sort of thing you’d want to set your kid loose to climb around in. There are also all sorts of Tesla coils and other lightning effects to keep the little brat busy. We’ve all seen those glowing orbs that send beams of electricity towards your hand when you touch them, but don’t worry, The Liberty Science Center thought of everything and made things hip for the kids by syncing perhaps the most underwhelming Tesla coil display possible to some hella-sick dubstep. But jokes aside, several of the exhibits at Liberty Science Center are cleverly designed. While the organization has come under fire in the past for supposedly politicizing science, many exhibits are geared in such a way that kids will learn to be scientifically responsible in the future — no politics involved. Kids can crawl through a giant blood vessel and get sneezed on by a giant nose to learn about how their daily choices can either help or hinder the spread of disease. The Liberty Science Center is also introducing kids to the idea of vaccines, and (hopefully) the kids will get to hear from their parents that yes, they’ve had their shots. Kids can also watch live honeybees hard at work — from behind a layer of glass — at Liberty Science Center’s active beehive. Again, there’s no mention of the politicized pesticides that dropped honeybees to an endangered status, just genuine appreciation for living things that behave in interesting ways. But the Liberty Science Center has some questionable, though not unrealistic, exhibits as well. Hop over to the “Future of Energy” attraction and learn all about how future cars may be solar powered while your toddlers make a turbine spin by blasting it with wind. That’s all well and good, but one of the main attractions kids can interact with is basically a primer in how to become an oil tycoon. In an era where fossil fuels are not only unfashionable but irredeemably dangerous to the future of the environment, it seems off to have kids learn the best practices for drilling through different rocks to best get at the sweet, sweet oil below. Of course, the acknowledgment that oil is still a major part of our environment and economy isn’t any reason to skip the Liberty Science Center. Go, have fun, and as with anything else, arm yourself with a couple of questions.